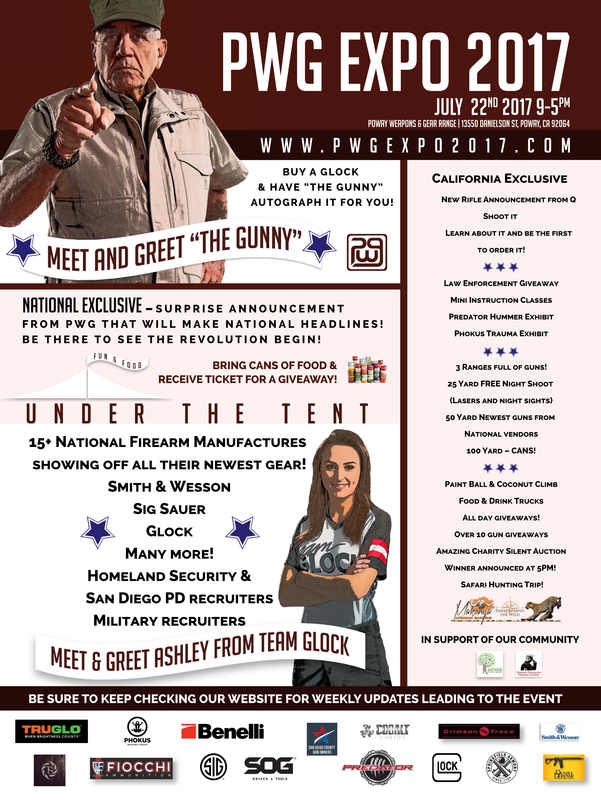 Home → Events (ALL) → Corporate → Great Fun at Poway Weapons & Gear Expo 2017! 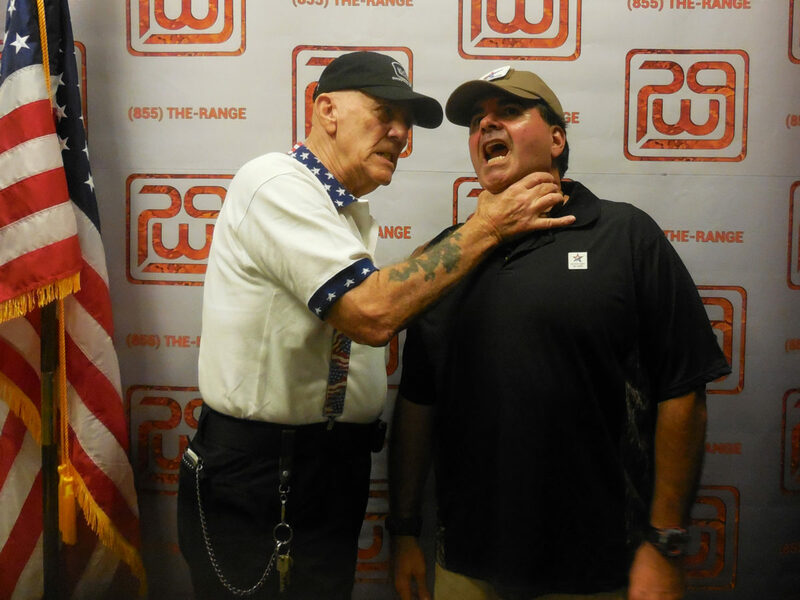 On July, 22, I had the great pleasure to serve as emcee at the 2nd Annual Poway Weapons and Gear Expo. As a life-long shooting sports enthusiast, I enjoyed being part of an enjoyable and very successful event…it was a great time. Numerous vendors and pro-2nd-Amendment organizations turned out to enjoy a day of safe, family-friendly fun with non-stop giveaways (I gave away a LOT of cool stuff throughout the day! ), opportunities to try PWG’s excellent ranges, retail store and other features and amenities. Another star in the world of shooting, Ashley Rheuark spent the day with us. Ashley, only just turned 19 has been taking the shooting sports world by storm as she racks up victory after victory. Rheuark has won numerous titles, including IDPA Lady World Champion and USPSA STI Ladies National Champion, and became the first female IDPA Distinguished Master. She was with us representing Team Glock (she’s its newest member) and meeting and greeting…very nice lady…truly represents the best in shooting.